Product code: VM922AG/AH Categories: Home Living, Kitchen Aids. The Aidapt Drinking Cup is easy to hold and comfortable to use. 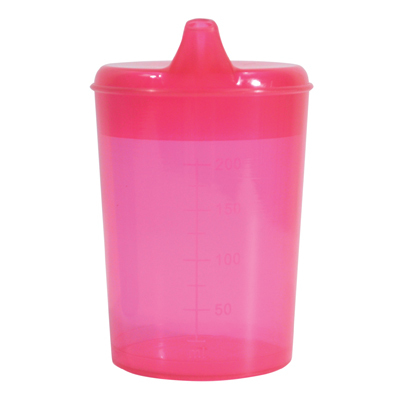 This specially-designed cup is supplied with two tops, one with a small hole for drinking fluids and the other featuring a larger hole for more solid food. It is dishwasher safe and supplied in a choice of two colours – blue or pink. 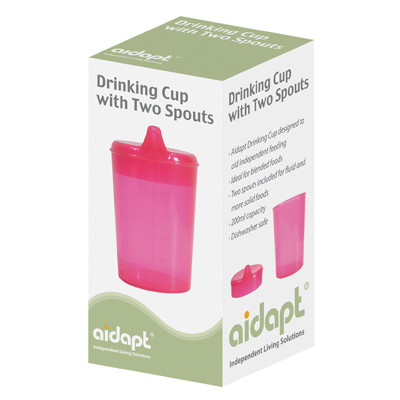 The Aidapt Drinking Cup is easy to hold and comfortable to use. 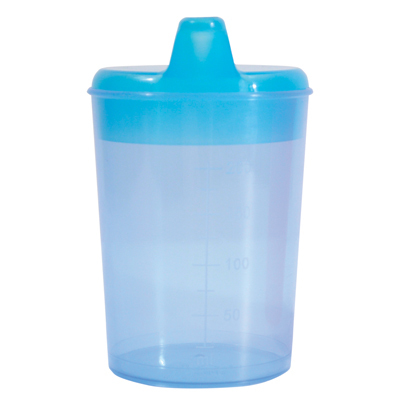 This specially-designed cup is supplied with two tops, one with a small hole for drinking fluids and the other featuring a larger hole for more solid food. It is dishwasher safe and supplied in a choice of two colours – blue or pink. If you would like to see more products like the Aidapt Drinking Cup With Two Spouts, CLICK HERE.